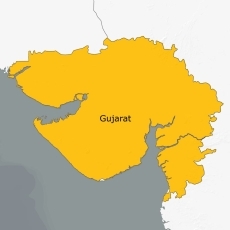 Gandhinagar, Dec 17 : An Iraqi woman who came to Ahmedabad for academic purposes has vanished without a trace, giving the security establishment in Gujarat sleepless nights. The burqa-clad woman, who introduced herself as Haula Younis from Iraq had visited the Gujarat Cancer and Research Institute at the Ahmedabad civil hospital campus last month. Claiming to be a teaching assistant in a science college of the Baghdad University, she had e-mailed her desire to pursue research in cervical cancer. She was asked to report with necessary papers to complete registration formalities. Accordingly, she reported Nov 16 at the institute but without the papers. She left after making preliminary enquiries when asked to deposit Rs. 10,000 as fees, and has not returned since. The Ahmedabad airport has no record of either her arrival or departure. What has perked up investigators is that the close-circuit television cameras (CCTVs) installed at the Gujarat Cancer and Research Institute were switched off on the day of her visit at the institute. Installed after the serial bomb blasts in Ahmedabad July 26 last year, particularly targeting the civil hospital campus, left a trail of death and destruction, these CCTVs drew a blank on that particular day. This has led to suspicion of a possible wider network with an insider connection. The cancer institute authorities have scoured the net for the Bagdad Science College but in vain. The university exists but the college remains elusive. Her e-mail address has proved of little help either.